Fat binders are weight loss supplements that achieve weight loss by preventing fat absorption. Fat blockers or fat binders, consists of fat-absorbing dietary fibers which cling to fat and prevent it from being digested and absorbed into your bloodstream. When you take a fat blocker after or before a meal, this will find it way to any dietary fat you’ve consumed and attach to it creating an insoluble viscous substance. Since your body cannot digest and absorb this substance it is passed through your body naturally, saving you hundreds of fat calories. Fat binders are especially effective for people who despite dieting they cannot resist eating fat-based foods such as pizzas and other cheese or oil-based dishes. Its noteworthy that fat blocking pills only have a limited fat absorption capacity, so taking one doesn’t mean one you eat unlimited amounts of fatty foods. Fat blockers are different from fat burners, the first prevents fat absorption the second burns body fat. Natural fat binding supplement is a popular choice for dieters who cannot seem to resist a hearty, fat-rich food. Interestingly, most fat blockers have dual action, apart from preventing the digestion and absorption of fat they also promote satiety. Thanks to the gel-like substance created in your stomach, you feel full for longer and your appetite is suppressed for sustained periods of time. Alli is a quite popular OTC fat blocker that lets you cut down on your calorie intake by partially inhibiting fat absorption. However, due to improper use of Alli, many customers experience unpleasant, socially-awkward side effects when taking Alli, including flatulence, diarrhea and leakage. Several studies have pointed out that Alli use is associated with rather serious long-term side effects as well. Another category of fat binding tablets includes Proactol Plus and XLS Medical, both of which have as their main fat-blocker the opuntia ficus indica extract, commonly known as prickly pear. This extract is essentially a fiber that delays digestion and promotes long-lasting satiety. 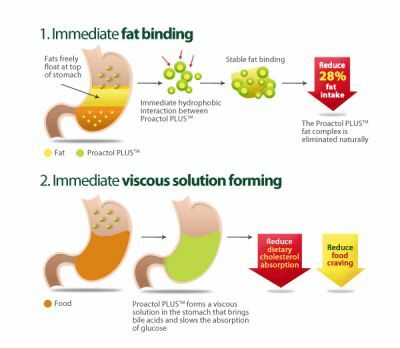 Proactol and XLS Medical assert they can prevent the absorption of up to 27% of consumed fat. Despite your good will to lose weight and adapt an active, healthy lifestyle, the scales don’t seem to budge. Fortunately, there’s an advanced weight loss solution which tackles all at once the aforementioned challenges (hunger, sluggish metabolism, exhaustion, a predilection for calorie-ridden foods). Fat burning – Adiphene promotes lipogenesis, so that you burn fat instead of muscle when losing weight. 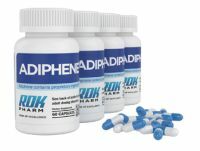 The 12-ingredient formula of Adiphene makes all this possible with just a single weight loss pill. Would you take it with a high protein low fat meal such as at breakfast? If you are on a high protein and low fat diet, there’s no need to take fat binders actually. 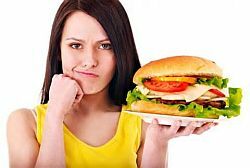 Fat binders are OK if you take some high fat foods, and their aim here is to reduce the caloric intake by binding the fat content of this food.